Welcome to the funky little town of Leucadia, better known as “The Art and Soul of Encinitas”. This beachside town is the perfect artists’ mecca full of vibrant and colorful residents who cherish the unique and close-knit community located at the North West end of Encinitas. If you live in Leucadia or find your home in Leucadia, you know the art to “keeping Leucadia funky”. Why would you want to live in Leucadia? Well aside from the plethora of one-of-a-kind small businesses, the breathtaking beaches (namely Leucadia State Beach – better known as Beacon’s Beach , Grandview Beach, and Stonesteps Beach), the distinct Leucadia art scene, and gourmet Southern California restaurants – The homes, condos, and townhomes in Leucadia provide living options for all who choose to call Leucadia home. Who wouldn’t want to live in a Leucadia beach house? Homes for sale in Leucadia offer home buyers the perfect opportunity to have that laid back surf/hippie/artists lifestyle right in their very own backyard. If you are looking to buy a home in Leucadia read on to learn about the homes, community, shopping and more. Then visit the town and see for yourself why homes in Leucadia are perfect for you. Those who live in Leucadia or want to live in Leucadia can find several options for housing. The coastal bluffs above the Pacific Ocean and lining Neptune Ave. provide luxury customs homes with magnifecent sea views. Vulcan Ave. runs parallel with the Coaster and Amtrak train tracks and is dotted with some businesses, apartments, single family homes, and multi-family duplexes, triplexes, and beach style cottages. Homes West of the I-5 and East of Hwy 101 are as unique as the people that live there. From custom built new homes, to older single story California style homes you can find. Tucked in between flower and orchid shops, winding through are beautiful homes inspired by Encinitas beach living. To test out life in Leucadia you can find many rentals, rental incomes, or air bnb a unique spot to understand what homes in Leucadia are all about. There are many things to do if you live in Leucadia or even find yourself visiting the artists’ and surfing town. 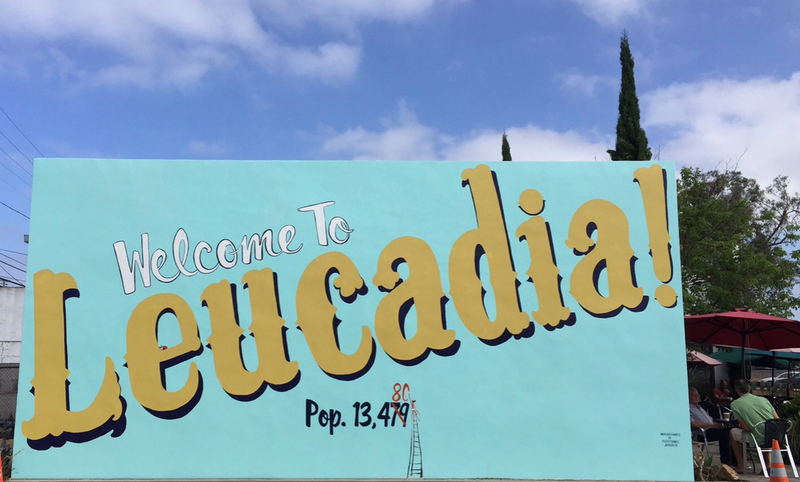 Here we highlight a few of the must see locations and businesses throughout Leucadia. Are you looking for a good coffee shop to fill your caffeine buzz needs? Then you can find great coffee in Leucadia right on Hwy 101. 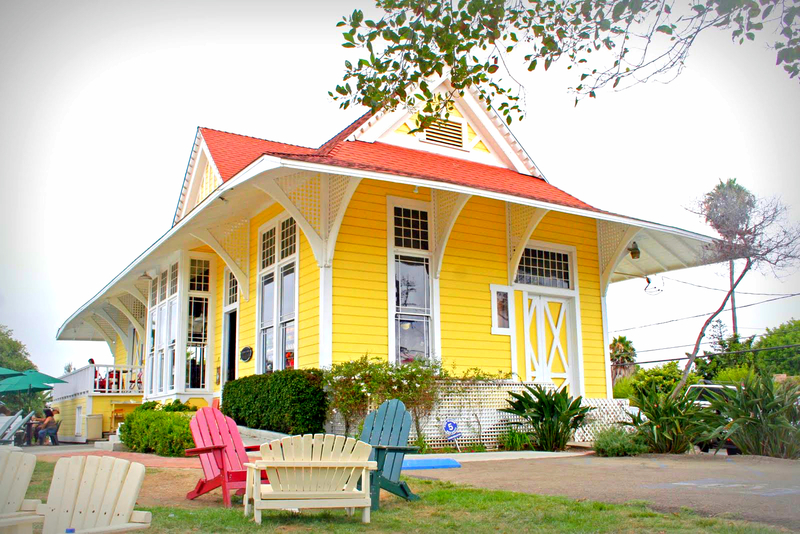 Check out Pannikin Coffee & Tea located in a big yellow Victorian style home where you can enjoy fresh pastries, coffee, or tea in a cozy and charming setting. If you want a smaller and hipper place to grab your coffee, head over to the appropriately named Coffee Coffee where artisan and specially crafted coffee beans are right at your finger tips. Food in Leucadia is a huge draw to living here. If you are looking for an amazing Japanese Tapas Restaurant, call ahead and book reservations for the infamous and tiny Yu Me Ya restaurant, they book up fast so don’t wait too long. If you want some Rasta inspired food in Leucadia, pop on over to Mozzy’s Cafe to enjoy burrito’s or Mozzy’s famous Acai Bowl. Haggo’s Organic Tacos are also a town favorite. Leucadia also has tons of gluten free food options for those seeking gluten free options. If you are looking for great breweries or a nice glass of wine there are several options in Leucadia. Recently opened right on Hwy 101, Priority Public House offers tons of local beers on tap and the food is also delicious. Solterra Winery is another favorite wine bar in Leucadia, and the ambience of the large wine barrels in the restaurant add to the allure. If you are looking for a fun local dive bar in Encinitas, then The Regal Segal is a favorite hang out spot for local Leucadians. Shopping on the Hwy 101 in Leucadia is definitely a must for residents and visitors alike. You have tons of surf shops in Leucadia, clothing boutiques, salons, and art studios. The famous Bing Surfboards shop will have you oohing and awing over hand crafted surfboards, the company is inspired and started by Bing Copeland. Surfy Surfy is another surf shop in Leucadia that will offer some of the best boards, surf clothing, and get you outfitted for the water in any season. You will find Cielo Salon which offers a great hair experience to keep you looking great. Living in Leucadia is definitely synonymous with shopping in Leucadia since it is all within walking distance for most residents. Residents of Leucadia buy homes and set up shop mainly for the beautiful beaches that dot the small towns’ coastline. Here are some highlights of the main beaches of Leucadia. Contrary to the name, Beacon’s Beach flies under the radar. With a smaller parking lot tucked away from easy access, you could call it more of a local beach to those living in Leucadia. Beacon’s Beach allows for long peeling lefts for surfers, small and secluded from huge crowds. If you are looking for a great sunrise or sunset spot, Beacon’s beach may just be your new favorite spot. Sit up on the cliffs and take in the view. Long walks down on Beacon’s Beach at low tide are also very recommended. If you don’t mind getting your cardio in walking up and down the stairs at Stonesteps beach, then you are in for a real treat. Take advantage of a super low tide to enjoy most of the beach. Like Beacon’s beach, you can access Stonesteps beach through a charming neighborhood off of Neptune Avenue in Leucadia’s oceanfront neighborhoods. This beach lies just North of Moonlight Beach and just south of Beacon’s Beach and offers some great turquoise water, surfing, and swimming. Grandview Beach is also known as Leucadia State Beach – South of Carlsbad and Ponto Beach, Grandview is a favorite among families living in Leucadia as well as beach lovers who enjoy the protection of the wind but the high bluffs topped with beachfront properties. If all of this community information on Leucadia sounds perfect for you, make Leucadia your home and enjoy searching homes for Sale in Leucadia on our site. Own Your Story and Live the Leucadia Coast Life!